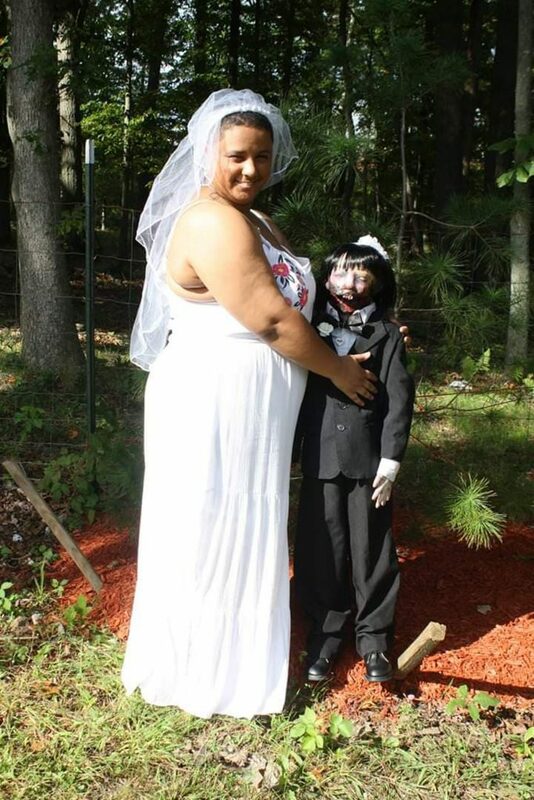 Felicity Kadlec is a 21-year-old from Massachusetts who married her doll, Kelly Rossi. Rossi is a 37-year-old with, surprisingly, no birth certificate. They’ve been in a relationship since Felicity was 16 after finding Kelly on a ‘creepy doll’ website at 13. They got married in Tiverton, Rhode Island, for $500 with four of Felicities family friends and eight of her dolls present.